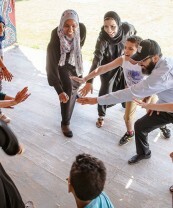 The project "Capacity building cooperation in the framework of Social and Community Theatre" was developed in close cooperation with IOM (International Organization for Migration, Mental Heath, Psychosocial Response, and Intercultural Communication Section) within the programme framework Psychosocial assistance for children, young people and their families affected by the crisis in Libya. 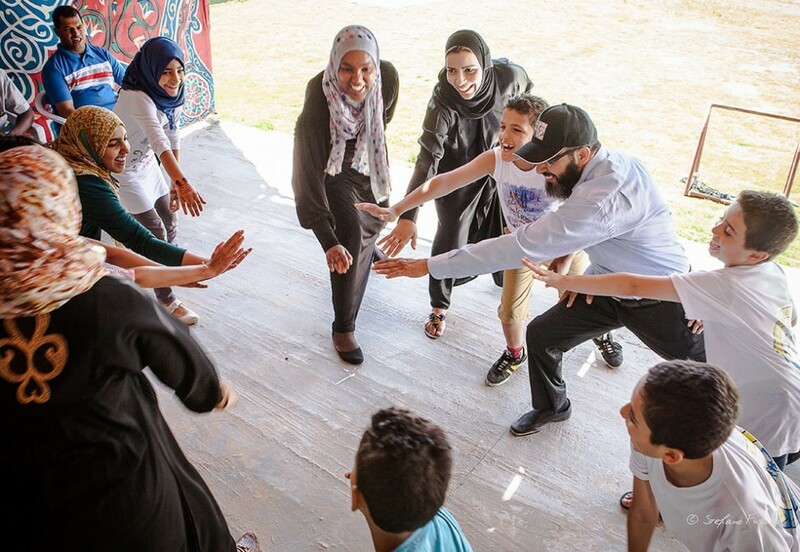 The work was started with the aim of implementing an intervention of Social and Community Theatre in the Recreational and Social Centres of Tripoli and Misurata during the reconstruction phase following the Libyan war. 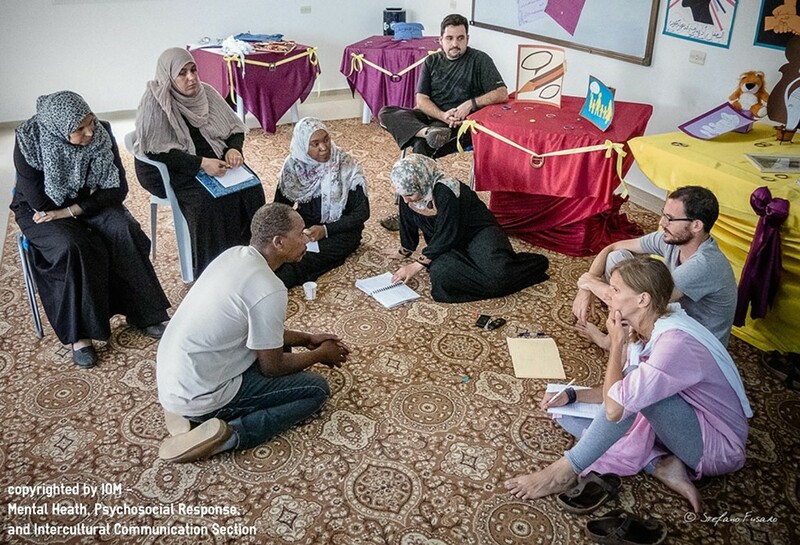 The project Team capacity building in the framework of Social and Community Theatre was developed in close cooperation with IOM (International Organization for Migration, Mental Heath, Psychosocial Response, and Intercultural Communication Section) within the programme framework Psychosocial assistance for children, young people and their families affected by the crisis in Libya. 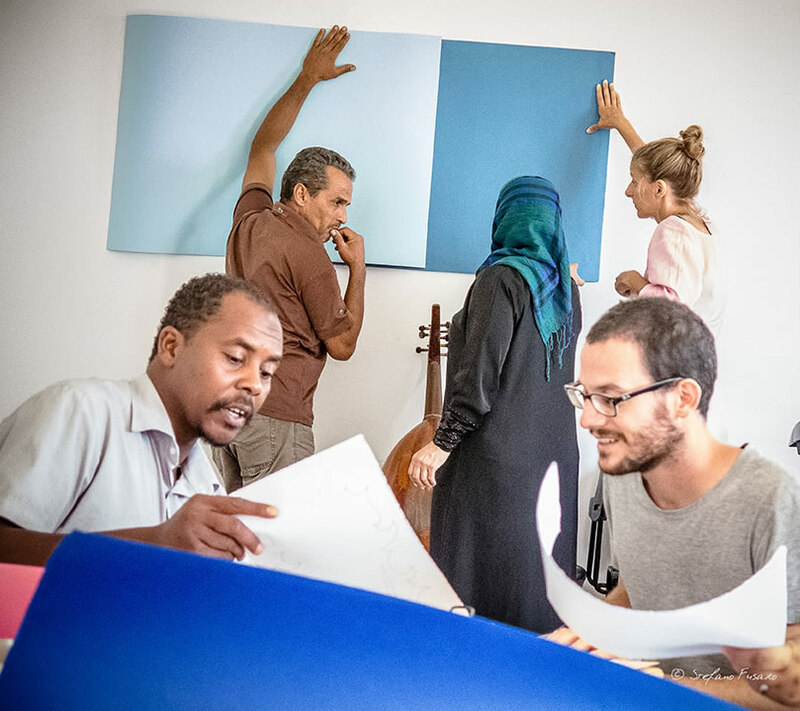 The work was started with the aim of implementing an intervention of Social and Community Theatre in the Recreational and Social Centres of Tripoli and Misurata during the reconstruction phase following the Libyan war. The project was developed from March to October 2013. Professionals and activities. The educational process involved external experts – Master graduates such as Maurizio Bertolini, Fabrizio Stasia, Cristina Carniel and Federica Tripodi, who were prepared for this specific intervention – with the methodological supervision of Alessandra Rossi Ghiglione. 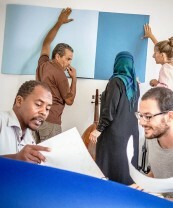 It developed under the overall supervision of Guglielmo Schininà, director of IOM – Mental Health, Psychosocial Response, and Intercultural Communication Section – and Marcio Gagliato, Program Manager of IOM – Mental Health, Psychosocial Response, and Intercultural Communication Section Libya Programme. Qualitative results. 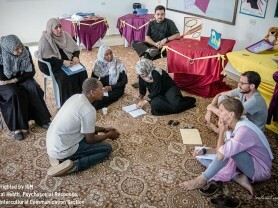 As indicated by IOM – Mental Heath, Psychosocial Response, and Intercultural Communication Section, the War Trauma Foundation made a qualitative overall evaluation of the project and, concerning the Social and Community Theatre intervention, it underlined the efficacy of the methodology in this context. March-May 2013: the IOM Multakana Centre showed the need to increase its internal organization and optimise the psychosocial activities it was already carrying out. SCT collaborators focused their energies on the centre’s organisation, while implementing an initial mapping of the creative resources of the context. The whole staff was involved in this activity. 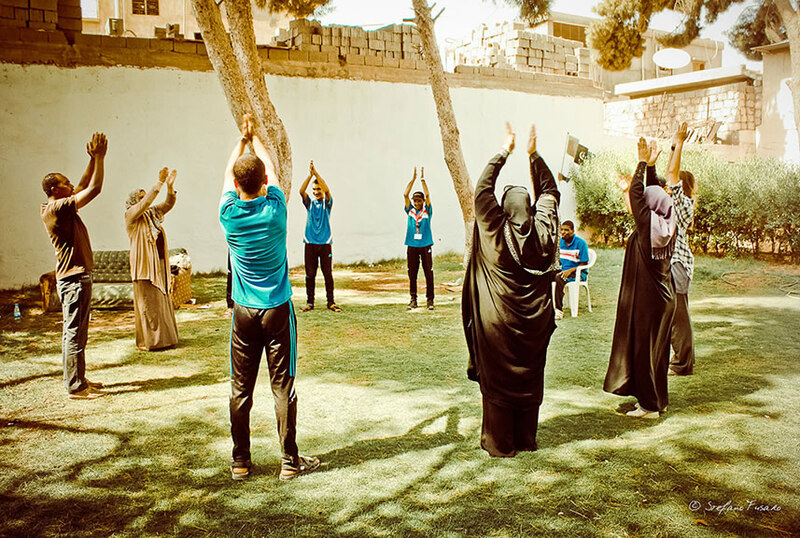 27 March-May 2013: after an in-depth assessment of the needs, weekly training was arranged for the Tripoli Staff. Topics: team building; creativity (problem solving); trust and listening among the staff; representing and exploring a theme with bodily expressivity. September-October 2013: continuation of the training on team building and capacity building. During the whole period of intervention, the 4 SCT collaborators activated weekly workshops for various beneficiaries of the territory. 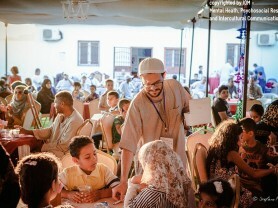 The workshops were managed side by side with members of the Libyan staff sharing weekly planning and an ongoing evaluation session. The aim was to develop specific skills about the SCT methodology and the instruments in a process of “learning by doing”. The first community event (6th July). Aims: to satisfy a need of the staff, to train the staff on planning complex formats in the medium-long term, a way to hand on the meaning of the SCT methodology to the staff. In the preparation phase, all the beneficiaries of the centre activities and other community realities were involved. There was extensive in-depth training on multicultural dialogue and cooperation. 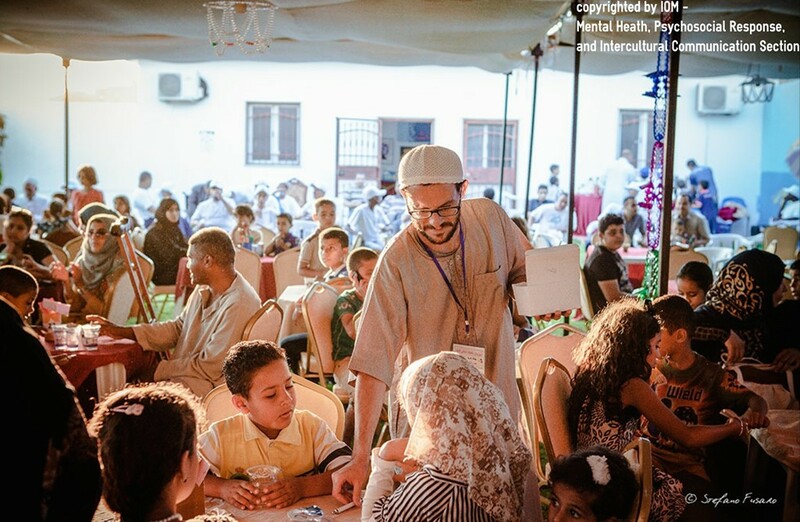 What happened: welcome of the audience, performance of “The beauty of Abu Salim” with young people, children and disabled people, games, “the rite of plants”, art installations, final party. 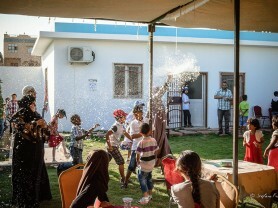 300 participants, including the people from the IDP camp of Tawerga. The second community event (24th October). 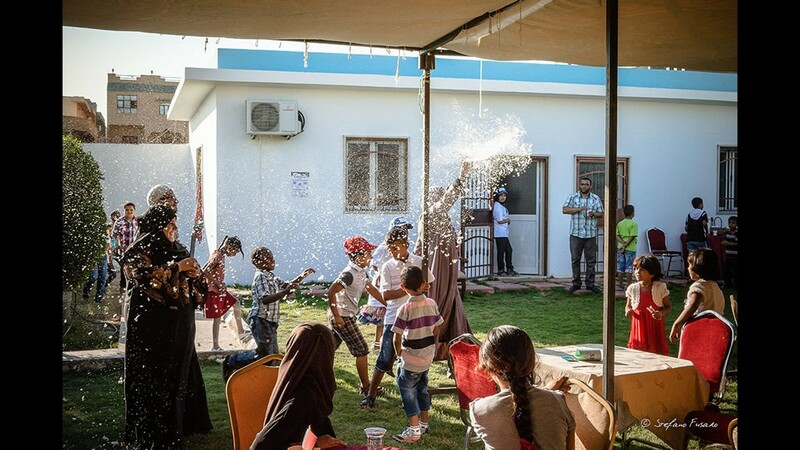 In order to celebrate the first year of activities, the centre organised a community event that gathered more than 100 people representing the local authorities of Abu Salim, the schools, the associations and NGOs active in the district.